Better buckle up because the gloves come off and I am going to spout unrelenting anger since that is what Captain Phillips deserves. First of all this is based on a true story. People who read newspapers now and have interest in the world around them already know how the outcome will be. Second, hostage drama's are boring. Unless a healthy dose of action or humour is added to the mix to keep things light and interesting. And Captain Phillips is as serious as they come with events being played out so unbelievable that you begin to wonder how the outcome is what it is. Third, seriously Tom Hanks stop crying in movies. I never can tell if you are seriously displaying tears or are laughing at everything and everyone for doing the same trick over and over again for an insane amount of money. Here it is even worse, it almost seemed like he was mocking the story. Fourth, Greengrass, you do know that shaky cam doesn't always work and is considered to be highly annoying. I am sure there are far more reasons I could mention against this but the one question that was haunting me was why should I watch this? What does this film offer? Good acting? Well, I must say that the villains did an extremely good job and were convincing as hell. Tom Hanks and the rest were sleepwalking through their roles. A travesty how they were performing. Is there a political message? Now this is interesting. Very subtly characters do have their criticisms. Only that does not work in a film that is hardly subtle in how they portray the villains and the good guys. Does the Captain and his crew deserve my sympathy? In my opinion I did not really care for them as undoubtedly was intended to. We don't get to know the characters and therefore are not given real opportunity to like them before events start to happen. Now a case could be made in how the Captain and the crew members act during the events that would make me want to like them. However that is part of the problem. I was not really impressed in the way they behaved. In fact I could not believe how this large group of grown, experienced sailors were cowering away just because four Somalians with machine guns boarded their ship. It becomes even more infuriating when the real crew members tell a completely different story about what really happened. In fact most of what occurs after one specific event is completely fabricated (Captain Phillips is a lie!). And it takes forever and becomes more unbelievable as it goes and goes on. A little background on piracy or the procedure concerning these ships would have been nice also. If it is assumed that the audience don't know about this incident then why leave out important details which I can promise you are far more interesting than the whole hostage situation. And how on Earth does this movie even get nominated? I know Oscar movies and the whole politics around them have made this award a joke. But at least there was always some value to the films that were being nominated. 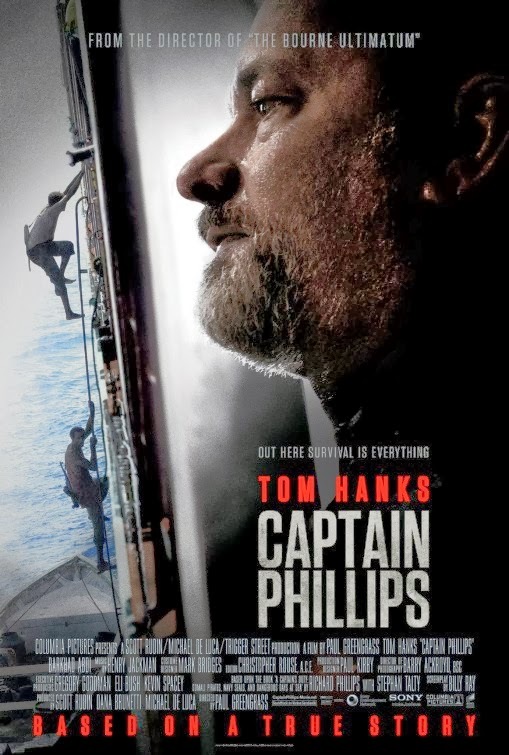 I see zero value in Captain Phillips. Absolutely none. In fact I find it extremely insulting that this barely adequate film is getting so much recognition and praise. Skip on this. Forget this film ever being made, you will thank me for it.